You may remember a couple of weeks ago, I wrote a post about Chemist Direct and just how many products you can find on there at really great prices. I was sent two products from their site, not only to experience just how their delivery service works but so I could test out the products sent and review them too. 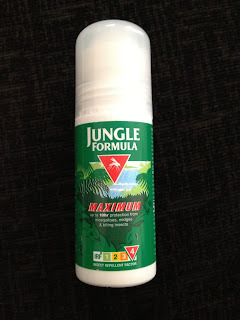 I gave them a rough idea of what products we use in our household and it just so happened that we were off on holiday so one of the products I was sent was Jungle Formula Mosquito repellent. Now I have always been quite lucky when on holidays abroad, I rarely get bitten but I wanted to make sure that the children were fully protected. My mum came on holiday with us too and the first night we were their, she got bitten a lot, they obviously found her quite tasty. I quickly remembered that I had the repellent with me, which she applied every day after and mum and I are pleased to say that she didn't get bitten again throughout the rest of our holiday and the rest of us also remained bite free. The only one I couldn't apply it to was Layla as it is only suitable from 3 years and upwards. 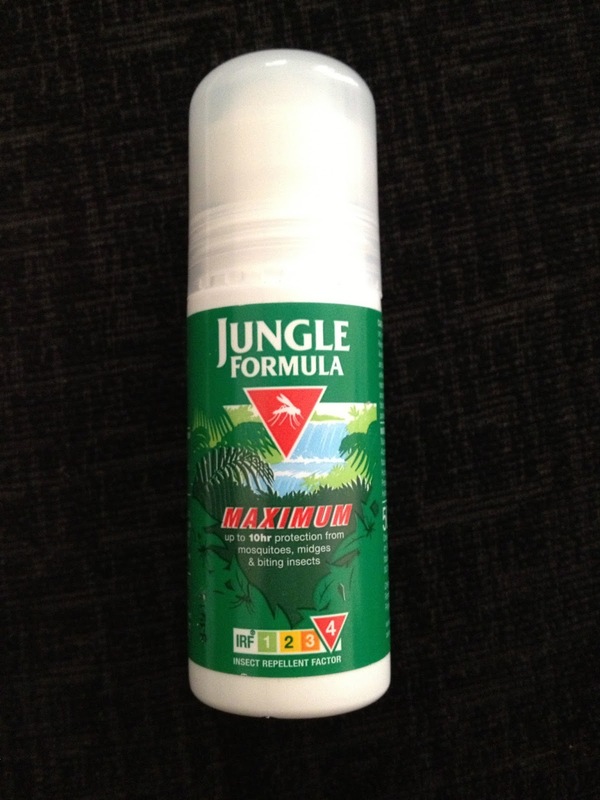 The jungle formula is easily applied as it is in a roller ball form, meaning no need to get it all over your hands and it also makes it easier to reach all thoughs little areas like wrists and ankles. It can give you protection for up to 10 hours so you only really need to apply it a couple of times a day maximum and not only does it protect you from mosquito bites, it also protects from general midges and insect bites too. The 50 ml tube lasts really well, we used it on 6 people and I still have some left now. The size of the bottle also meant that it was easily placed in the changing bag along with all the other essentials we needed to take out with us during the day. What is great with this product is that it is available in different strengths just like a sun cream : natural, medium, maximum or sensitive skin, so one to suit whatever skin type and wherever in the world you are travelling. I will definitely be recommending this repellent to friends and family, I think my mum will be too. Disclaimer : I was sent this product free of charge for reviewing purposes however all thoughts and opinions are my own.